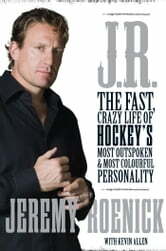 Whether he was scoring top-shelf goals or crushing an opponent into the boards, Jeremy Roenick—widely known as J.R.—was never shy about the way he played hockey. As much as he mixed it up in front of the net, J.R., an NHL veteran of twenty years with five different teams, often found himself in the middle of controversy off the ice as well. Above all else, J.R. was an entertainer, never afraid to dance on the blue line to liven up a game or to spend time with the fans. Now, as a hockey broadcaster and media personality, Roenick continues to inspire debate as he lights up call-in show phone lines with his rare mix of raw wit and cutting commentary. 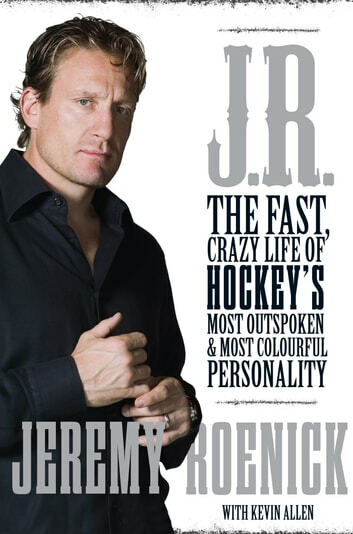 In J.R., Roenick reveals all, from his early hockey days commuting to games across the continent; to his time with the Chicago Blackhawks, the Philadelphia Flyers and his other teams; to skating with the American team in international competition; to acting as judge on Battle of the Blades. Elaborating on the events and opinions that he is known for, including his famous media battle with Patrick Roy, his claims of a bias against American players, his accusation that USA Hockey had “black-balled” him, and his thoughts on Wayne Gretzky and the Phoenix Coyotes, Roenick tells it as only he can, in his own words. Amazing book if you're a hockey fan. I hated JR as a player because he was a rival of the Maple Leafs but overall he was a great hockey player. Has some good stories and an amazing biography. A must read for any hockey fan. Good look into the life of an NHL star. Great stories with some strong language included. Good read. Great book. Never really was a fan of JR. I understand him better after this read. One of the better hockey books published as of late.